E.K. 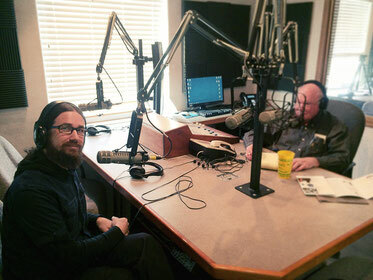 Wimmer was interviewed Thursday, May 5th on Public Pulse, 930AM KROE Radio by Kim Love. Wimmer discussed his two-person exhibition (we)st with his wife Maria Rose and other projects. You can listen to the entire 20 min. interview below. Thank you to Sheridan Media and The Ucross Foundation.